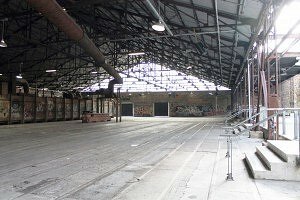 The 53,000-square-foot kiln building at Evergreen Brick Works is set for a conversion that will create a collaboration zone to aid in building sustainable cities, with a target of developing systems and technologies for reducing carbon emissions. To set the standard, project partners EllisDon, Brookfield Global Integrated Systems, CRH Canada, Levitt Goodman Associates Architectural Partners and ERA Architects will strive to attain a carbon neutral design target for the site, a first in Canada. Once completed, the doors will be open to citizens, the public/private sectors and thought leaders to contribute to the initiative. The heritage adaptive design approach was created in consultation with the City of Toronto’s Preservation Services, Ontario Heritage Trust and the Toronto and Region Conservation Authority to support the preservation of heritage features in the building. 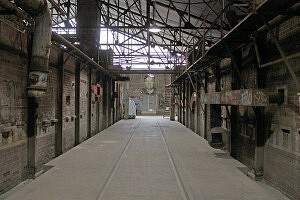 ERA was directly involved in the conservation of the unconditioned kiln building, one of 16 historically significant buildings on the campus of Evergreen Brick Works. 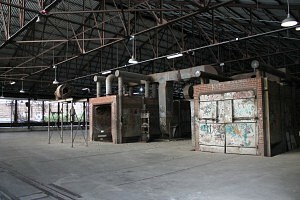 This structure houses a large collection of industrial brick firing kilns that are currently subject to flooding and freeze-thaw cycles. Enclosing the open west wall of the building, raising the floor, and conditioning the building will be a significant contribution to stabilize these artefacts, while continuing to highlight the heritage aspects of the historic space. 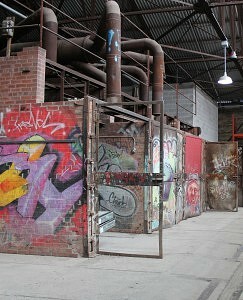 The Brick Works have become a notable destination for locals and tourists alike, drawn to the consistently eco-friendly programming housed within the walls of its LEED platinum-certified building. It will be a gathering place for interactive workshops and community programs that focus on working collaboratively, and will strengthen networks, inspiring action through new and enhanced gallery and meeting spaces. This latest endeavour will catalyze advancements in renewable energy technologies, while preserving the heritage features. Congratulations to the ERA project team: Philip Evans, Shelley Ludman and Eunice Lam! To review the Canadian Architect-published press release, click here. To review the related Globe and Mail article by Alex Bozikovic, click here. To review the Blog TO article by Amy Grief, click here. Feature rendering courtesy of LGA Architects. Photos courtesy of ERA Architects.